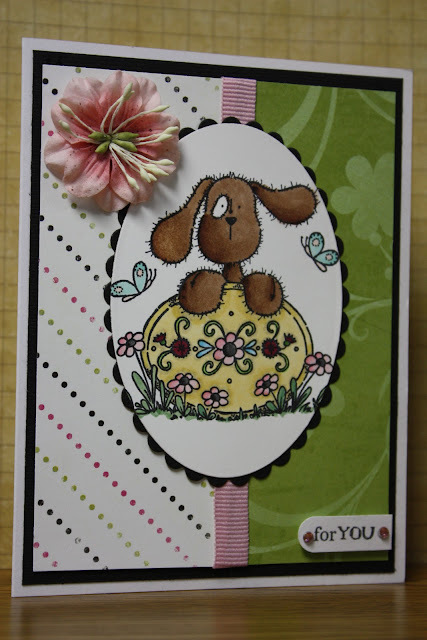 Here is another card with Ruffles the Puppy from Stampavie...isn't he cute??? In my mission to stamp at least one card from each stamp set, I've also decided to use only scraps (my supply never seems to dwindle only grow). The pattern paper is scraps from Bo Bunny's Alissa collection. I added some bling, ribbon and a flower.